In this final half of the interview, the Poker Brat divulges how he came by the nickname and how it plays into his game and image. 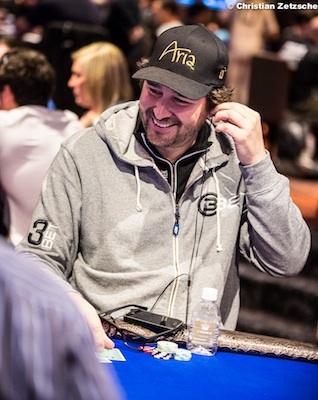 Hellmuth discusses his participation in Excelling at No-Limit Hold'em and his thoughts on the introduction of cheaper buy-in events at the WSOP. Continuing our conversation with Phil Hellmuth, this second and final part of the interview turns toward discussing his contribution to the forthcoming strategy book, Excelling at No-Limit Hold’em, the “Poker Brat” image and how it comes into play at the tables, his thoughts on the new $565 buy-in “Colossus” and other low buy-in events at the WSOP, and his future goals. PokerNews: What made you decide to get involved with Jonathan Little’s book Excelling at No-Limit Hold’Em? Phil Hellmuth: Well, I like Jonathan Little and when he pitched me about the book, I thought all right, this is going to be kind of cool. I started thinking of rappers and I’m like okay, if Jay-Z is doing a song, he’s going to have somebody rap in it — maybe he’ll get Kanye West to do a few lyrics. He’s going to get these different rappers on his songs. So I like this concept because it’s kind of like being involved in a rap song. I came up with the concept of talking about short-stack strategy which people have actually said is my weak point in poker. So I said all right, I’ll write something about that and then I’ll bring in Liv Boeree as a co-author to do the mathematical side of that. She’s terrific and brilliant, and she did a great job. How did the two of you go about collaborating on the chapter? We never saw each other — you know how it is these days! She was at a tournament in Europe and I was here [in the U.S.]. I saw her the other day, finally, in San Jose for the Shooting Star. But we sent material back and forth... I would discuss something and she would discuss something, and we’d talk about the math and how you could lose value if you didn’t shove in certain spots. We started a dialogue which I think people will find fascinating. The chapter is about how to play a short-stack strategy from a mathematical point of view with me trying to add some reads. There is benefit sometimes in getting away from the math, but if you don’t have reads, you have to go with the math. If I’m playing an online tournament, I believe more in the math, but even then I have to weigh in some instinct and experience. Also, you have to treat each player differently. If it’s an online tournament but they know it’s me, then I have to think differently. Are they trying to move in on me because they think I’m tighter, or are they smart enough to know that I’ve already factored that in? So there’s a lot of deductive reasoning and logic. What about in live tournaments? Do players go after you more often because you’re Phil Hellmuth? You know, it’s interesting. It seems like players stay away from me. For a couple of years it seemed like everyone was after me, but now they’re like “I don’t want to play this hand because he might berate me later!” It seems like they’re staying away from me. Plus they’ve seen me make all these great reads. Maybe we’re on Day 2 of a tournament and they just want to cash... [or] maybe they don’t want to mess around with Phil Hellmuth. Speaking of image, how did the “Poker Brat” nickname first come about? I gave myself that name. Well, [the poker writer] Andy Glazer, who passed away a few years back — great guy — he helped me come up with the name, and it seemed appropriate and it stuck. Right away, everyone picked up on it and started using it! What do you think about the perception that you are a tilter? No one ever accused me of being a tilter — they accused me of being a poker brat. As you know, someone who tilts plays badly for emotional reasons. I don’t think I go on tilt; I don’t go crazy and play bad hands. For better or for worse, I’m a very passionate person and [in some cases in the past] I couldn’t control myself. If you think the outbursts shown on television in the 2000s were bad, you should’ve seen me in the 1990s when they weren’t recording. I would just go crazy! I’d go off! Maybe at that point in the 1990s, I did tilt. But now it’s just natural and organic for me. If I feel like I've played perfect poker for 18 levels and we’re at a final table and someone does something so goofy that it costs me, I look at it as though they’ve lost their minds and I’m supposed to bust them. Where’s the justice in me not being all in for 16 levels in a row and getting this idiot put money in with -offsuit when I have ? How do they hit an ace there?! Part of the madness of me losing is great television. It’s like John McEnroe — it’s very natural and organic. As time goes on, I get a little better at masking my disappointment about someone doing something really stupid. But what the camera doesn’t show is that each and every time I’ve ever gone off on anyone, I always apologize and shake hands — every time. What do you think of the WSOP adding in lower price point events — in particular the $565 buy-in “Colossus” — this year? I think they’re great for the WSOP and for poker. It brings a ton of people in and gives them a chance. There are probably 50 great poker players out there that we don’t know about. Maybe they’re married and have kids and they have a job and for whatever reason, they don’t have the money to come and show us they’re great. This gives them the chance to come out and play four or five events. I taught my friend, who’s a doctor, and I’m like “Dude, you can’t go down there and give yourself only two shots, you have to give yourself six or seven shots.” When the tournaments are more affordable, it’s easier to get the wife [to come along], too! 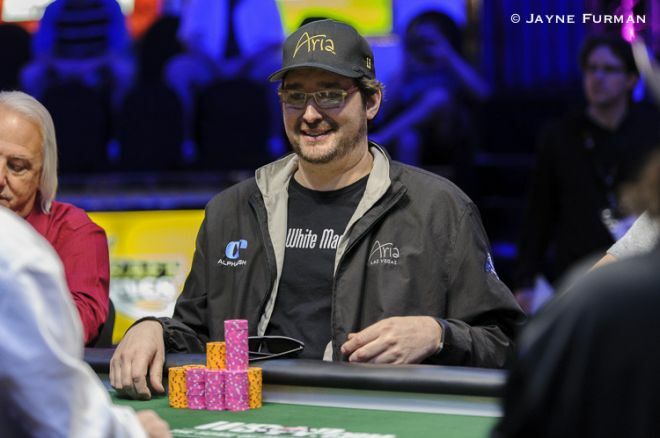 What’s next for Phil Hellmuth? I’m trying to write a book on how to achieve great things in life. I’ve been very lucky in that I’ve achieved a lot of my goals. You know, I wanted to write a New York Times best seller. I wrote it down as a goal, and boom, I did it. I wanted to win the WSOP Main Event, and boom, I did it. I wanted to meet an amazing woman — boom, did it. I married her and in a couple of weeks it’ll be 25 years. I want to help people get focused on what’s important. I have a goal of becoming the greatest poker player of all time. I want all the records in poker. Right now, I have all the records at the World Series of Poker. I need to get a few World Poker Tour tournaments up on the board. I also won five Hall of Fame Poker Classic bracelets. At the time, those were watches and they were like World Poker Tour events, and so I have 5 of those which people forget, plus the WSOP Main Event [in 1989]. People are looking for ways to improve their lives and ways to improve themselves, and a lot of people who have written those types of books haven’t accomplished much, frankly. I’ve climbed to the top of my world and so I think my book will have a more unique perspective. I’ve been working on this book for too many years, but just this year, I rebooted it. But my number one goal is to become the greatest poker player of all time, and to me that entails winning bracelets. What else should we know about Phil Hellmuth? I really enjoy raising money for charity. I have had a lot of fun over the years raising millions of dollars for charities like Doctors Without Borders, the Philadelphia Children’s Hospital, and the Teaching Tolerance charity. Being able to give back feels good. Much thanks to Phil Hellmuth for giving us his time. Excelling at No-Limit Hold’em is scheduled to be published on June 13, and you can preorder a copy by clicking here.